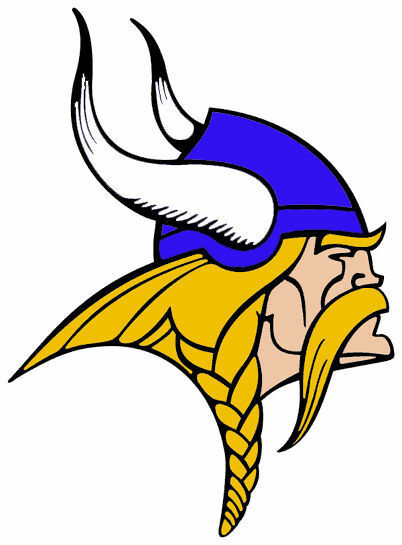 COLUMBUS — Lakeview High School will crown its homecoming king and queen after Friday night's home football game against Grand Island Central Catholic at Lakeview Stadium. Kathleen Howland is the daughter of Mary and Aaron Howland. She is involved in basketball, one act, FBLA, YFC, mock trial, softball, speech, yearbook and soccer. She plans to go to Arizona for college to pursue a career in accounting. Elijah Mohlman is the son of Lyle and Libby Mohlman. He is involved in football, basketball, golf, baseball, FFA and St. John’s Youth Group. He plans to attend Nebraska College of Technical Agriculture in Curtis, majoring in diversified ag. After two years he will come back and farm with his dad. Maddie Hogeland is the daughter of Sam and Alyssa Hogeland. She participates in Revolution, basketball, track, National Honor Society, FBLA and volleyball and is a volunteer for Sammy’s Superheroes. She plans to attend either Nebraska Wesleyan or Drake University to pursue a degree in business or finance. Sierra Heesacker is the daughter of Jennifer and Jason Heesacker. She is involved in softball, track, National Honor Society, student council, FBLA and Revolution. She plans to attend Wayne State College or the University of Nebraska at Kearney for a degree in elementary education or accounting. Dylan Heesacker is the son of Jennifer and Jason Heesacker. He is involved in cross country, powerlifting and track. He plans to attend Southeast Community College to study architecture. Jacob Kapels is the son of Brad and Chris Kapels. He is involved in cross country, basketball, soccer, FFA, FBLA, Science Club, Chess Club and National Honor Society and is a member of the St. John’s Lutheran Youth Group. He plans to attend Northeast Community College to become a utility lineman. Maverick Pilakowski is the son of Rick and Lauralyn Pilakowski. He participates in basketball, cross country, soccer, track, robotics, Fellowship of Christian Athletes, YFC and multicultural club and serves as class treasurer. He plans to attend the University of Nebraska-Lincoln to get a mechanical engineering degree. Shelby Berger is the daughter of Kimberly and Darin Berger. She has been involved in softball, FBLA and band. She is undecided about where she will attend college, but plans to major in forensic or mortuary sciences and is considering continuing her softball career. Dylan Arends is the son of Bre’Ann and Michael Arends. He has been involved in speech, one act, mock trial, FBLA and band. He plans to attend Central Community College-Columbus for generals then move on to a university. Marina Jimenez is the daughter of Zenon and Elia Jimenez. She has participated in cross country, basketball, soccer, athletic training, band, Science Club, robotics, Multicultural Club, FBLA, student council, FCA, Revolution and YFC, serves as the class president and was selected as the Lakeview Elks Teenager of the Month. She wants to go into the health science field.